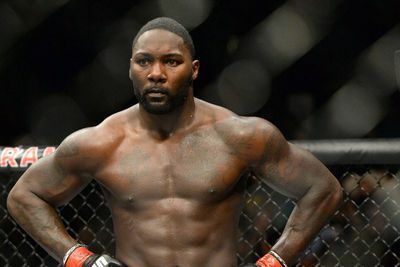 Anthony Johnson looks to get back in the title picture as he gears up to face Ryan Bader — perhaps the hottest fighter in the light heavyweight division — on January 30, 2016 in the main event of UFC on FOX 18 in Newark, N.J.
A victory over “Darth” won’t necessarily guarantee him a shot at the strap, but it will give him two wins in a row and help his case should he decide to lobby for another championship bout. And in his perfect scenario, he’d face Jon Jones in a five round world title fight. First things first, as “Rumble” knows he has a stiff test ahead of him in Bader, who has won five fights in a row and is hungry to finally get his first shot at UFC gold. But, if you think there’s going to be a heavy does of trash talk and animosity ahead of their 205-pound showdown, your highly-mistaken, as Anthony says he has nothing but good things to say about his “awesome” foe.